This post is just a quick "heads up" that server maintenance is happening now. Disruptions should be minimal and brief when they occur. This release cleans up a handful of (pretty gnarly) UI bugs introduced in the last major release. It also adds a couple of new usability optimizations for better survivor management and cleaner Settlement Event logs. Since our last one was such a hit, me and Jeff decided to take a run at (haha) some quantitative probability analysis of the "Open Maw" settlement event. 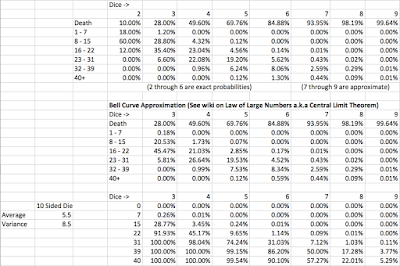 Our analysis presents the probabilities for death and success while rolling two dice through nine dice: after nine dice, you're practically guaranteed to lose the survivor. 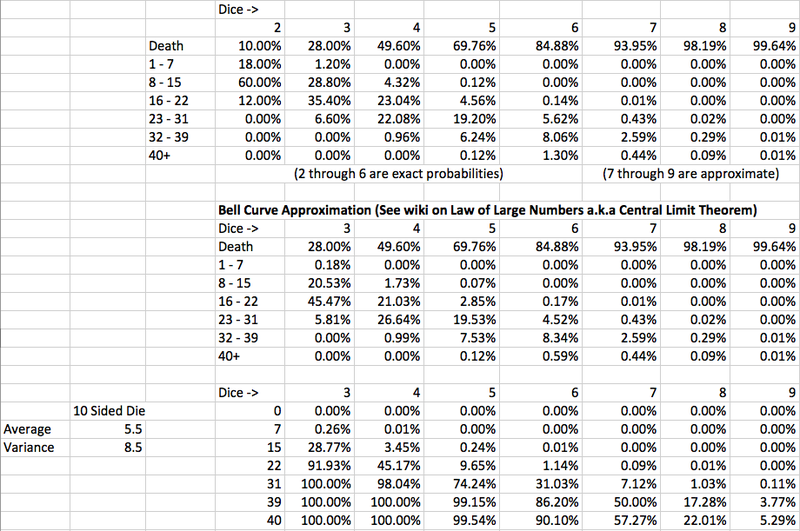 Jeff computed probabilities for two through six dice and estimated probabilities for seven through nine dice using the Law of Large Numbers, and the high-level result of our analysis is that if you want to live, you definitely do not want to roll more than four dice. 1.32.510 is a huge release. It is the last release of this scale/scope that will happen for V1. Among other things, this release adds the errata Lantern Year 0 to the timeline for all settlements and auto-corrects the "First Day" settlement out of LY1 and into the new LY0. Special thanks/shoutout to jeeshburger for the help on that one. Also, in addition to fixing a slew of usability bugs and cleaning up a bunch of long-standing back-end issues (in order to facilitate V2 development), this release puts a little more polish on the turd of V1's UI/UX and delivers the additional/enhanced preferences I've been promising for a few releases now. 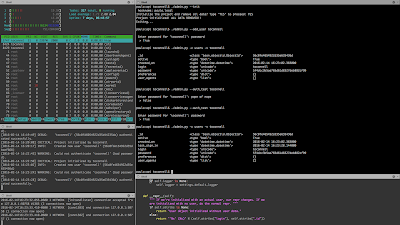 This is the first major commit for the V2 API (w00t). The API does basic database stuff for the "user" assets, but has no hooks into the actual server yet: that's the next big step. This release adds the Rare Gear from the one-shot challenge scenarios and touches up some of the Settlement administration tools for better multiplayer campaign management. 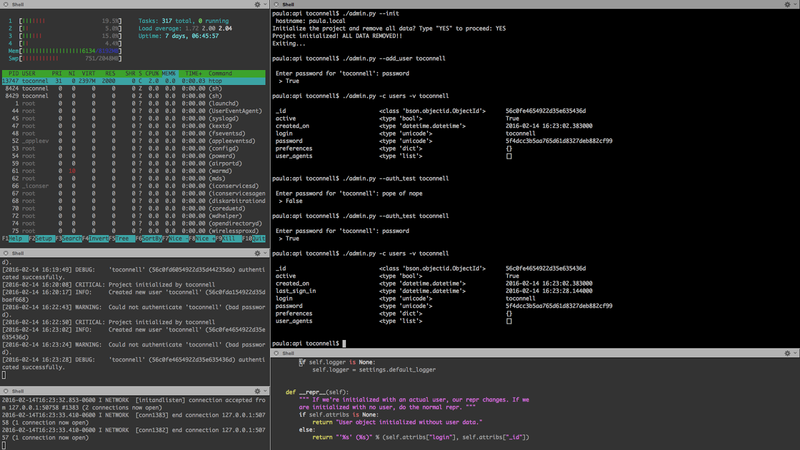 This tiny release adds some polish to the user experience and does a little clean-up re: getting ready for V2. I use Mobile Chrome to manage my campaigns. And while accessing http://kdm-manager.com from the browser is fine, the webapp has support for the M31 feature of Mobile Chrome that allows you to create a launcher icon for your Android home screen that launches the app in fullscreen without browser controls and, most importantly, that keeps it in your task stack. If you're not already familiar with the how-to of adding launcher icons, check after the jump break for instructions. In addition to a bunch of corrections and improvements around quarries and nemeses, this release adds the Settlement Timeline to the XLS export and is the last feature/improvement release planned for V1. In a few days, this application will go into "maintenance mode" and I will be focusing on V2. More details about V2 should be available before the end of the month. After I added the stat game/popularity contest to the Manager, I noticed that players were picking "Protect the Young" over "Survival of the Fittest" at about a 3:1 ratio. No principle is as unpopular as "Survival of the Fittest" (even "Collective Toil" is 40/60 versus "Accept Darkness") and I wanted to be able to say exactly why, so me and my buddy Jeff decided to crunch the numbers. In addition to a few usability tweaks, this small release adds the ability to remove events from the Settlement Timeline and REMOVES the ability to login using a credential that does not look like an email address. If you missed the announcement that's been on the warning banner (on the dashboard) for the last week and a half, please contact me directly to get your credential updated/fixed.